"The 'Lift Yourself' exhibit opened Friday. 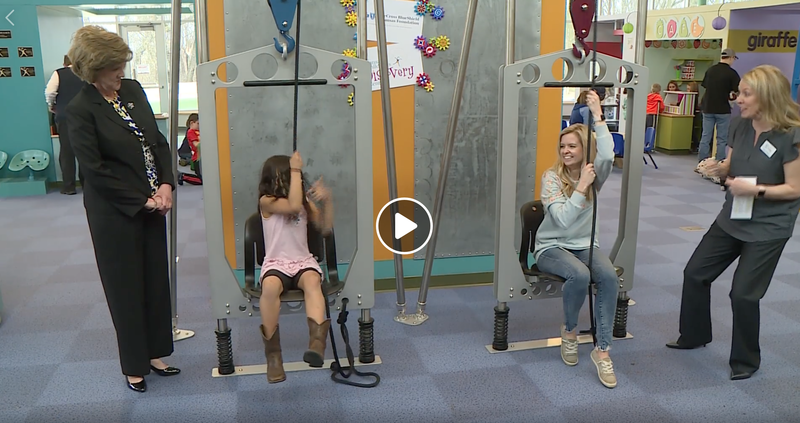 It allows kids and adults to use a rope and pulley system to life themselves off the ground, teaching the science of simple machines and the strength of one's body. The CEO of the Discovery Center says they want people to learn in fun ways. 'We know that that's how children and adults alike learn best, is learning through play," Dene Mosier said. "When opportunities come, we really look at exhibits that focus on science, technology, engineering art and math that bring it to life in a hands-on, fun, playful way.'"